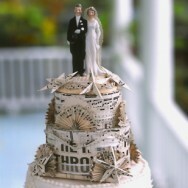 Today’s wedding featured a vintage bride and groom cake topper. I’ve always loved the idea of incorporating such an old tradition on my cake–it’s totally retro and the fashion of the vintage couples is always so chic. If you can track down the truly antique versions, they are definite show stoppers. Beyond using them on your cake, the other idea is to use the mini couple for decor around the home once you’re married. 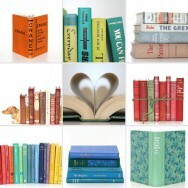 They’d look great on a mini cake stand, under a dome, or resting on a few books. I did a little web search for you and came up with some places for you to track down your own pair if you’re on the hunt. The above toppers are from Cammoo, and Merry Sunshine. Shops like this on Etsy have some really affordable selections. 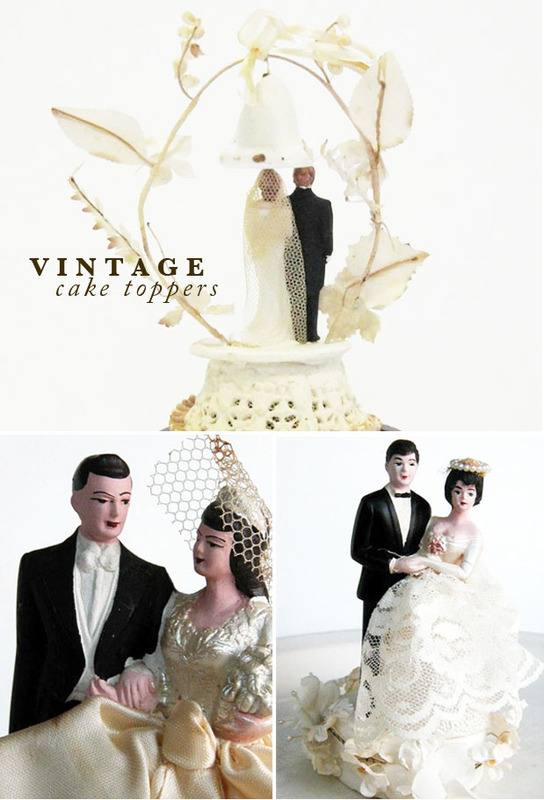 I recommend searching for cake toppers in the vintage section rather than the wedding section, as the results are better! A few other resources include Vintage Gal Antiques (a blogger who collects and sells vintage cake toppers) as well as Bella Cottages. 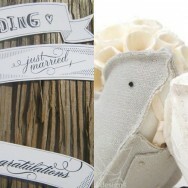 You can also check out this vintage cake topper article on Martha Stewart Weddings, which lists even more resources. Fancy Flours offers a wide selection; their items are pretty pricey, however in really great condition. Ebay is another really great place to look as are antique fairs. What are you topping your cake with? Flowers? Cake garland? Nothin’? The retro look is just priceless! what a beautiful touch this would be to any modern event! You wanted to know what people are topping their cakes with? Well, last week we had a bride and groom with custom bobble head cake toppers! Not exactly vintage, but definitely different!